In video games, you can be kicked (removed from play) for camping, which means staying in one place, particularly in a spot where other players spawn. Spawning, of course, is the fundamental flaw in video games, since it removes any real consequences of dying. Sandy Hook shooter Adam Lanza was so immersed in video reality that he might have honestly believed he would respawn after he shot himself. This is my new JetBoil camp stove in its stored configuration. As usual, I digress, but with good cause. I needed an opening line to talk about an upcoming camping trip I am planning. I am hoping to explore the Bisti/De-Na-Zin Wilderness of northwestern New Mexico, as well as Cabezon Peak, and possibly some other surrounding sites. For my entire outdoor career, I have, with one long-ago exception, been a day hiker. I either stay in a motel and drive to a trailhead early in the morning or, more often, I camp in a campground at a National Park or BLM site, and hike nearby trails. In either case, I return to base before nightfall. The downside of this is that there is lots of very cool stuff I want to see and photograph that requires me to stay overnight. When I started considering that I might want to add backpacking to my repertoire, I asked Dennis Udink to send me a list of the contents of this kit, which he happily did. I already had most of what I needed, but lacked a backpack, a lightweight tent, a lightweight three-season sleeping bag, and a lightweight stove. Abby and I were in Oklahoma City Saturday to have a remote start installed on her truck, so while that was being done, we shopped at nearby stores, including Academy Outdoors. When we approached the camping section, we were assisted by a knowledgeable clerk who just returned from service in Afghanistan, where he camped for most of his year-long deployment. He had a lot of good advice. 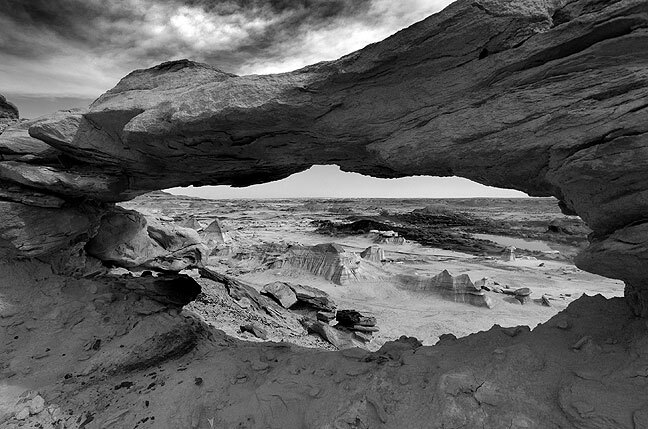 The Bisti Wilderness is a large area of badlands in the high desert of northwestern New Mexico. I have been there twice, both for short periods of time. The coolest of these items, in my opinion, is the JetBoil. There are a lot of camp stoves out there, some super cheap, and some stupidly expensive. The JetBoil is in the middle, with the model I bought at $80. It is a propane/isobutane stove with integral storage. It is insulated. The fuel bottles attach to the bottom and fit on a folding stand, each holding 3.53 oz. of fuel. 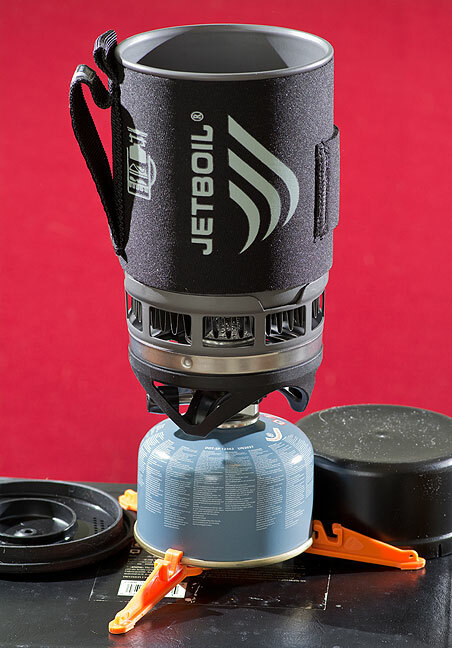 JetBoil’s web site claims this amount of fuel will heat 10 to 12 litres of water, or 6 litres in cold weather or when melting snow. With all that said, here is the bottom line: I am also shopping for someone to go with me. My wife is fairly apprehensive about me going alone, and I am aware that it is not only safer to have someone along, it is sometimes more fun. It doesn’t necessarily have to be someone in my neighborhood. Let me know. One reason for this advanced notice is that you will need a backpacking kit as described. I don’t want to telescope my dates and times on the internet for security reasons, so if your name is on this list, or it isn’t and you are interested, email me and I’ll let you know when I am going. Everyone is invited. This is my new JetBoil camp stove in its deployed configuration. It is an interesting prospect to be sure; and thanks for the inclusion on your list. I will mull it over and discuss with the wife. A friend with whom I’ve backpacked quite a bit has a JetBoil and I’ve been quite impressed with it. I have a much cheaper setup consisting of a $20 Coleman backpacking stove and an enameled metal mug that I got for free. 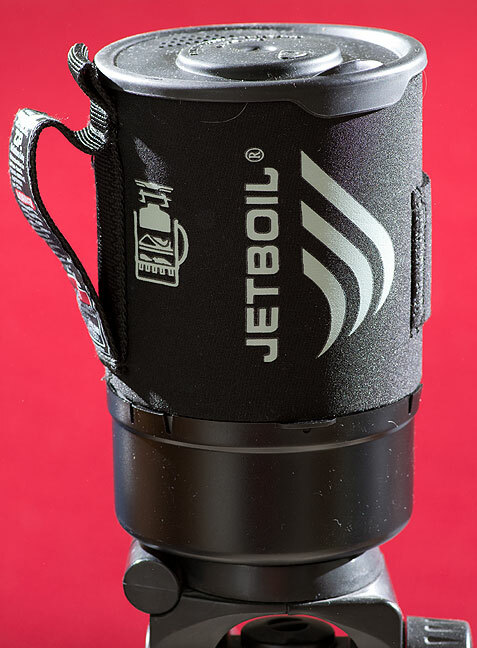 The JetBoil is nice for the reasons you listed (medium price point, nested storage) and it also has really great heat transfer. If my current setup was any less adequate I wouldn’t hesitate to switch over to the JetBoil.